Master weavers Steven Russell and Phyllis Stewart will present a number of workshops alongside our current exhibition kanalaritja: An Unbroken String. Workshop participants will learn a range of techniques and create unique woven objects. These workshops are suitable for all ages and skill levels. Parents and carers are invited to bring their children along. Morning tea will be provided. Please bring your own lunch. Steven and Phyllis are part of the Jungah Weavers artists’ collective based in Gerringong, on the South Coast of NSW. 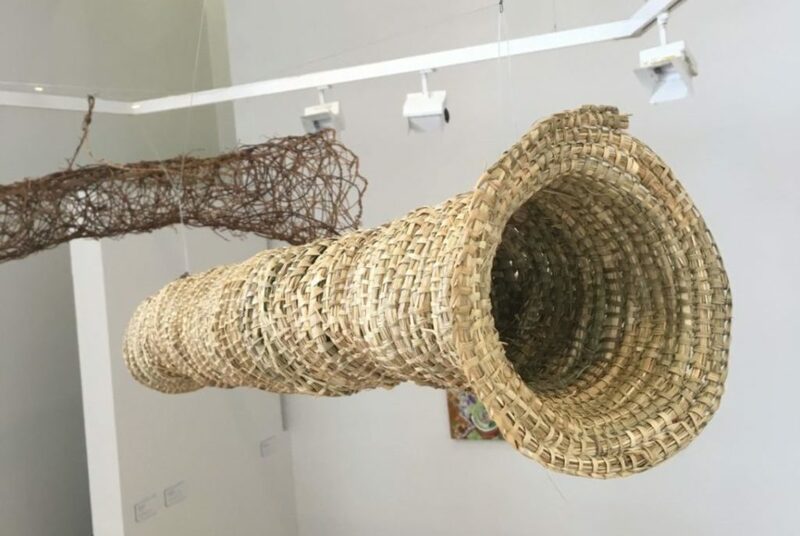 Through their own creative practices, they use different materials and techniques to create functional and sculptural weavings.